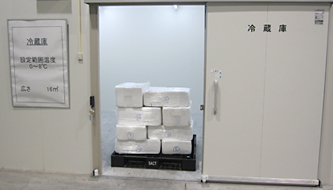 Air Cargo Handling | Sanriku Unyu Co., Ltd. Under an air-cargo agency agreement with Nissin Corporation, a Tokyo-based logistics service provider, we provide door-to-door freight transport services by combining land, sea, and air transport modes to handle a growing amount of air cargo for customers. 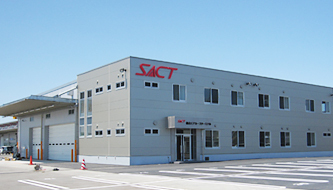 Sendai Air Cargo Terminal (SACT) Co. Ltd., which handles air cargo at Sendai Airport, became part of the privately owned company Sendai International Airport Co., Ltd. in April 2016. 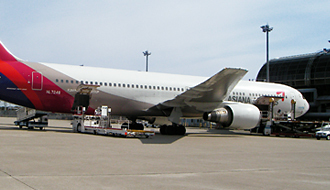 Sendai International Airport is expected to play a bigger role as an international air-cargo hub for the Tohoku Region. We provide air cargo handling services for both import and export, including picking up, transporting, packing, clearing customs for, and storing inbound and outbound goods. 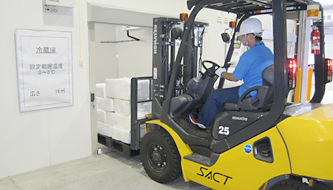 Our services include transferring inbound goods to an SACT bonded warehouse, inspecting them, clearing customs for them, and delivering them to customers in Japan. Our services include picking up goods from customers in Japan; transporting them to our warehouses where they are packed, weighed, and labeled; transferring them to an SACT bonded warehouse; clearing customs for them; and making sure they are delivered to their final destinations overseas seamlessly. Copyright© 2006 Sanriku Unyu Co., Ltd. All Rights Reserved.